And they meant it in a condescending way, too, as if I’m the one who’s out of touch. Let’s get one thing straight: YOU and PEOPLE YOU ASSOCIATE WITH may not be readers, but I’m not gonna judge you on that. We all have our favorite ways of enjoying fictional universes. If you prefer yours in a movie, that’s great for you. But it certainly doesn’t mean the HUGE WORLD OF LITERATURE is obsolete just because YOU don’t participate in it. It’s a thriving industry and the culture surrounding it is vibrant. 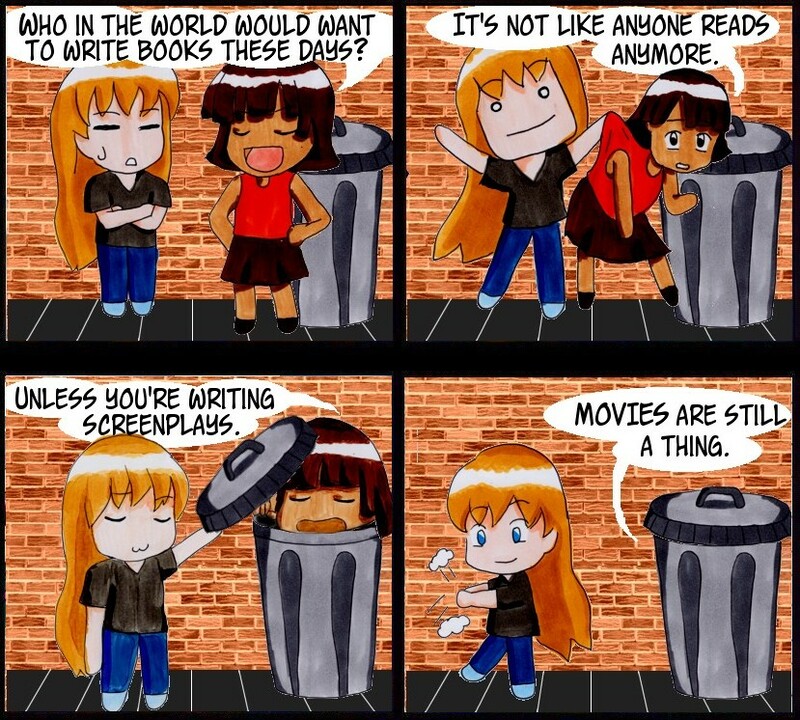 Do not ever ever EVER say this to a reader or a writer. If you feel compelled to belittle their interests because you don’t share them, you belong in the trash can.